The Technical Excellence and Creativity (TEC) Awards has announced that stand-up comedian and entertainer extraordinaire Demetri Martin will return as the host of the 34th Annual NAMM TEC Awards on Saturday, January 26, 2019, in Anaheim, California. The TEC Awards take place during The NAMM Show, the global crossroads of the music products, pro audio, and event technology industries. Martin’s career has included many high-profile appearances and collaborations, including his notable early work as a contributor to The Daily Show and his own TV series for Comedy Central. As a writer, actor, and director, he can now be heard as the voice of Ice Bear in Cartoon Network’s “We Bare Bears” and recently released his third book, If It’s Not Funny It’s Art. Martin is also an audiophile and multi-instrumentalist who regularly incorporates music into his comedic repertoire, having played everything from the piano to guitar, harmonica, the ever-popular ukulele, and even the electronic keytar at his shows. 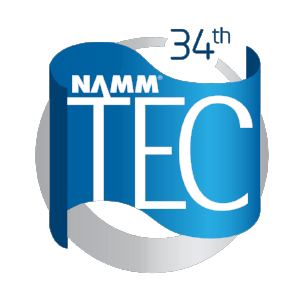 The NAMM TEC Awards are bestowed annually in honor of the many individuals, companies and technical innovations used in sound recordings, films, broadcast television, and video games, with the 2019 nominees announced earlier this year here. On the evening of the awards, the winners in 31 categories of products and projects in the areas of Technical or Creative Achievement will be announced. See Demetri Martin and winners of the 34thNAMM TEC Awards Saturday, January 26. Purchase tickets on site or in advance here for $65 (General Admission) or $195 (VIP). The show begins with a VIP-only reception at 6PM, followed by the awards ceremony at 7PM, held in the Hilton Anaheim Hotel’s Pacific Ballroom. The TEC Awards sponsors include Harman Professional Brands: AKG; Crown; dbx; JBL; Lexicon; Martin and Soundcraft; Adam Hall GmbH; Broadjam; Burl Audio; Cinema Audio Society; Control Booth; db Audiotechnik Corporation; DJ Mag; Genelec Inc.; Hal Leonard; iZotope, Inc.; G.A.N.G (Game Audio Network Guild); KVR; L-Acoustics; Les Paul Foundation; Motion Pictures Sound Editors; Music Marketing; Parnelli Awards; Pioneer DJ Americas, Inc.; PreSonus Audio Electronics, Inc.; Producers & Engineers Wing of The Recording Academy; Tracktion Software Corporation; Solid State Logic; Sennheiser/Neumann; Sonic Scoop; The Recording Academy: Warm Audio; Wells Fargo Commercial Distribution Finance; Universal Audio; Wonder Wonder Sound, and many others. The National Association of Music Merchants (NAMM) is the not-for-profit association with a mission to strengthen the $17 billion music products industry. NAMM is comprised of approximately 10,300 members located in 104 countries and regions. NAMM events and members fund The NAMM Foundation‘s efforts to promote the pleasures and benefits of music and advance active participation in music making across the lifespan. For more information about NAMM, please visit www.namm.org, call 800.767.NAMM (6266) or follow the organization on Facebook, Instagram and Twitter.